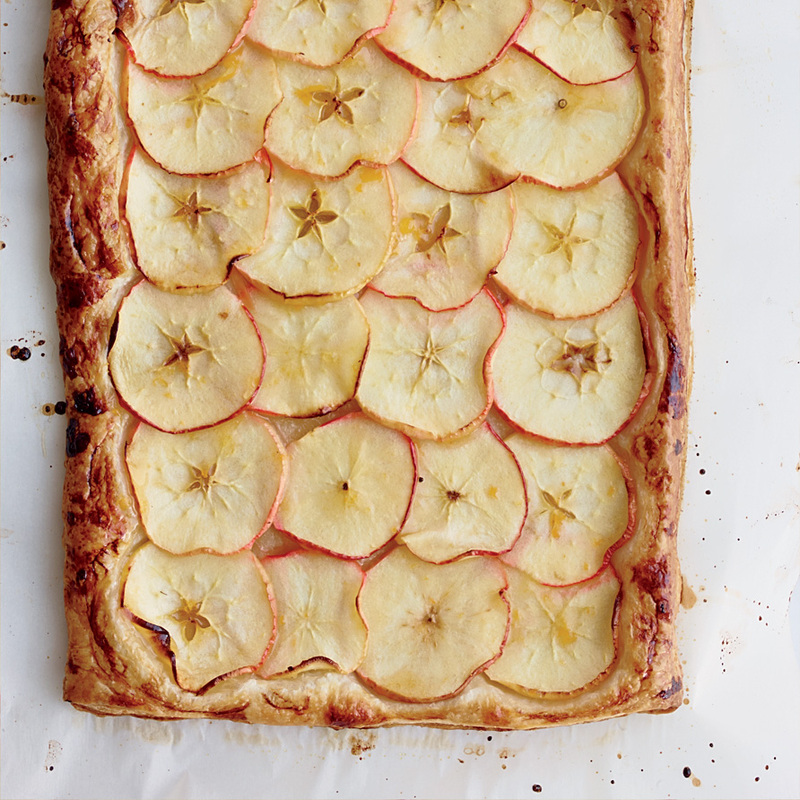 Start your month of apples with these beautiful, rustic tarts from author Susan Spungen. They have a tender tasty crust made with rye flour and cornmeal. They’re extremely easy on the cook because they can be made ahead at any stage: The dough can be refrigerated for up to 3 days and the unbaked tarts can be assembled and refrigerated overnight. You can even freeze them after you bake them and just reheat before serving. 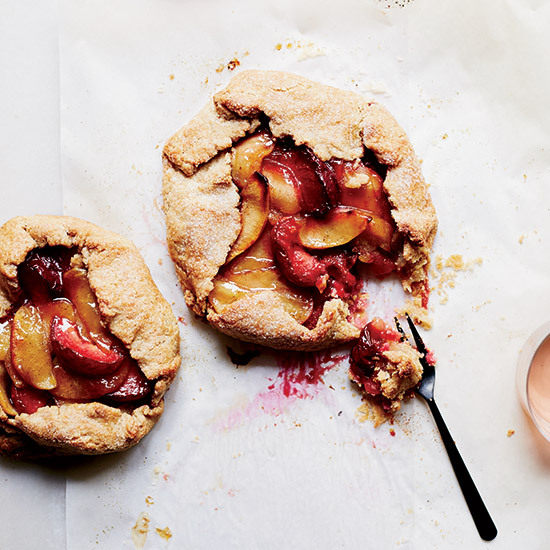 Food & Wine's Justin Chapple makes an apple crostata quick and easy by using a sheet of store-bought puff pastry as the base. To give the apples a little boost of flavor, he tosses them with lemon juice and fresh ginger and then brushes the finished tart with apricot preserves. Chef Matthew Accarrino uses apples, apple cider and the apple brandy Calvados to add layers of flavor to his braised chicken. If that wasn't enough apple for you, he uses two Granny Smith apples, too. 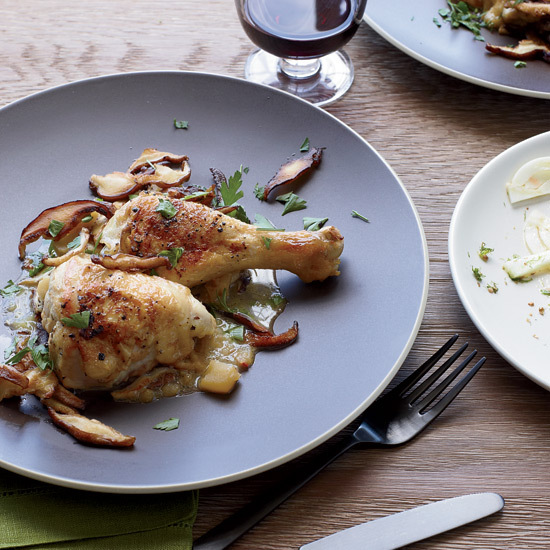 We love this fall chicken dish that's perfect for an easy weeknight dinner. At Graft Wine + Cider Bar in the Finger Lakes, chef Christina McKeough uses local apples in everything from salads to pie to the tangy mostarda slathered on her smoked-Gouda grilled cheese sandwiches. 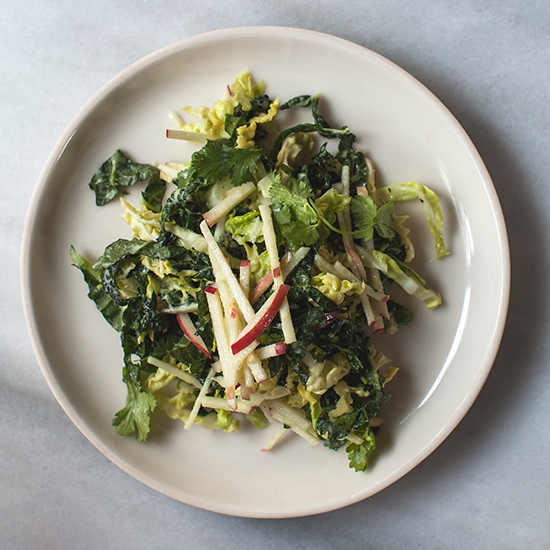 She loves to use a tart-sweet Ginger Gold in this Brussels sprout slaw for its crisp texture. We love it, too. Of course, we're going to hit you with an apple pie recipe, but not the classic one you might think. 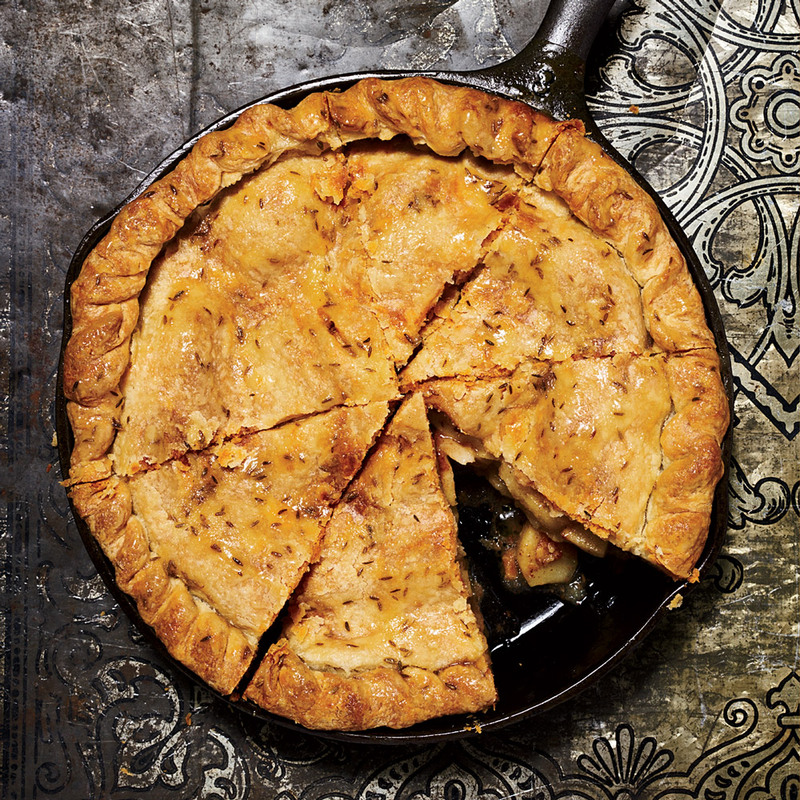 Cookbook author and chef Asha Gomez’s striking apple pie gets a glossy finish from melted jaggery, a deep amber sugar, and piquant cumin seeds. Save any extra glaze for a last-minute drizzle before serving. If you like hot dogs (and of course you like hot dogs) then you will love this recipe. If you’ve never tried the combination of cinnamon-y sautéed apples with slices of sharp cheddar cheese, it’s a must this fall. 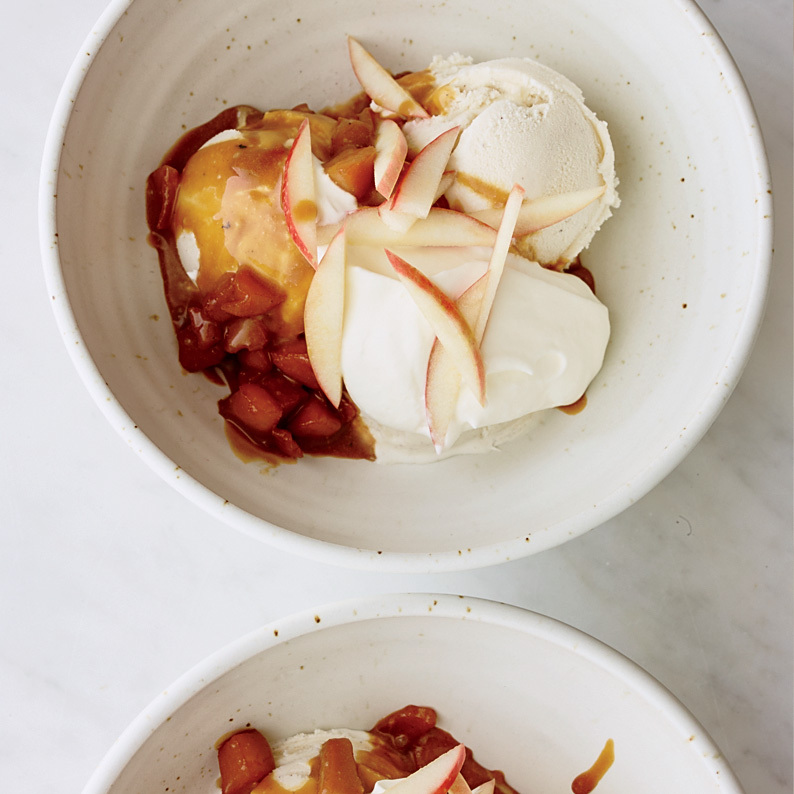 For an easy dessert, Food & Wine's Justin Chapple takes apples, chops them up and mixes them into a buttery brown sugar caramel that's perfect for an autumnal ice cream sundae. For the salad at his restaurant, George Mendes uses fresh horseradish and Gegenbauer cider vinegar, a rare Austrian import. But this home version calls for jarred horseradish and supermarket apple-cider vinegar. It makes for a bright, refreshing salad with an extra punch. 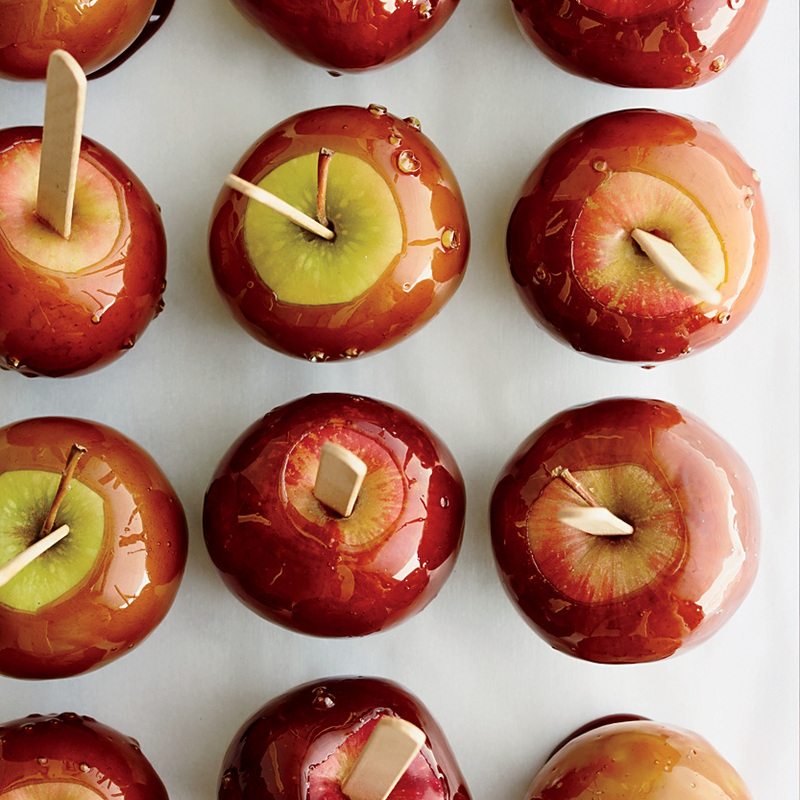 Candied apples make us nostalgic for our childhood, but they were usually so basic back then. We are here to give them an upgrade. Justin Chapple uses tart pomegranate juice to add a pretty rose color and additional flavor to his Candied Lady Apples. This sophisticated take on an open-face tuna sandwich includes sliced tart green apple and a little parsley. It's light and tasty, plus it's super easy to make, which makes it the perfect quick appetizer for fall entertaining. We recommend you and your guests try it with a sparkling rosé. The sweet licorice flavor of aniseed or fennel seeds adds depth this pork dish. For the sauce, look for dried figs that are soft and moist. If they seem dry, soften them in hot water before cutting. 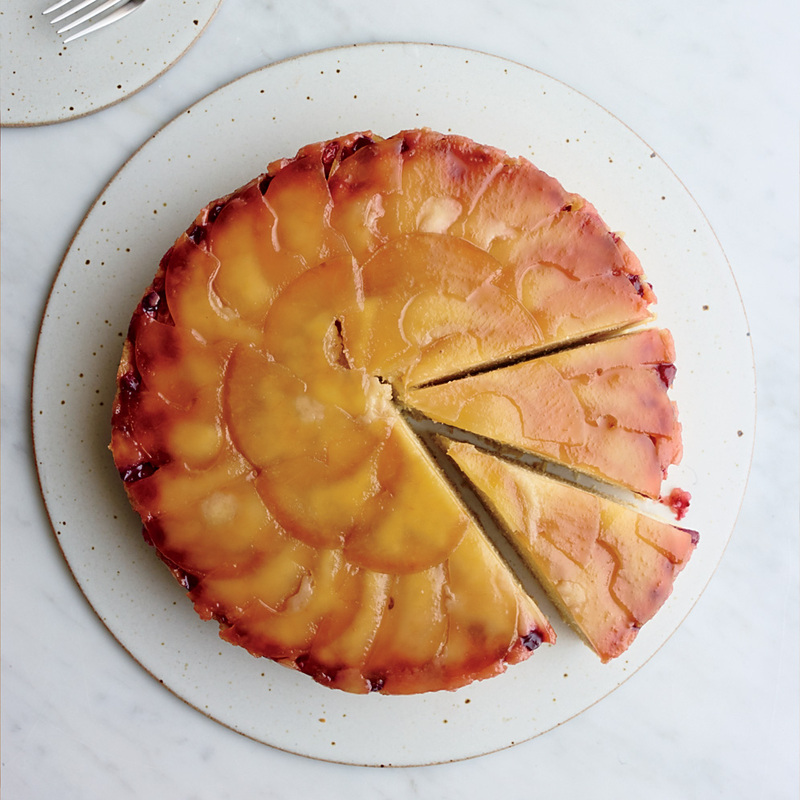 Le Coucou chef Daniel Rose stirs apples into the batter of this pound cake–like dessert and then tops it with more of the Calvados-spiked fruit. We think we could eat this cake pretty much each and every day of the fall and be extremely happy. We think you would be too. 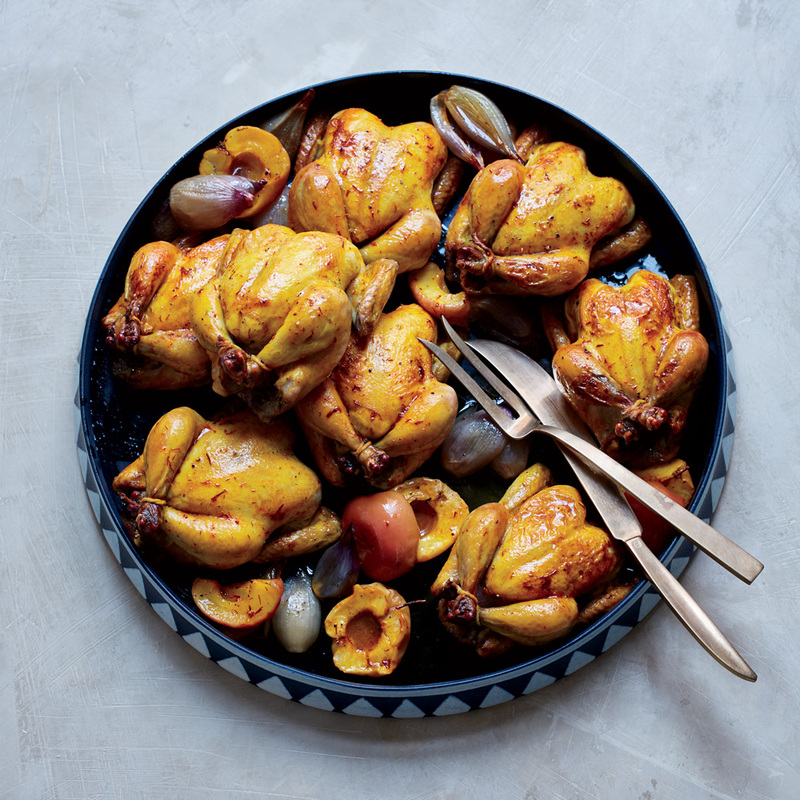 Poussins, the tender, juicy little chickens, are ideal for special occasions because you can serve each guest a whole bird. And roasting them with shallots and apples creates an easy and delicious built-in side dish. Try making these for your next dinner party. We guarantee they will be a hit. For his moist and buttery upside-down cake, Justin Chapple layers apples with cranberries and brown sugar, then tops them with a fantastic sour cream batter. We love this cake because it's super quick (takes just 20 active minutes) and it's delicious. 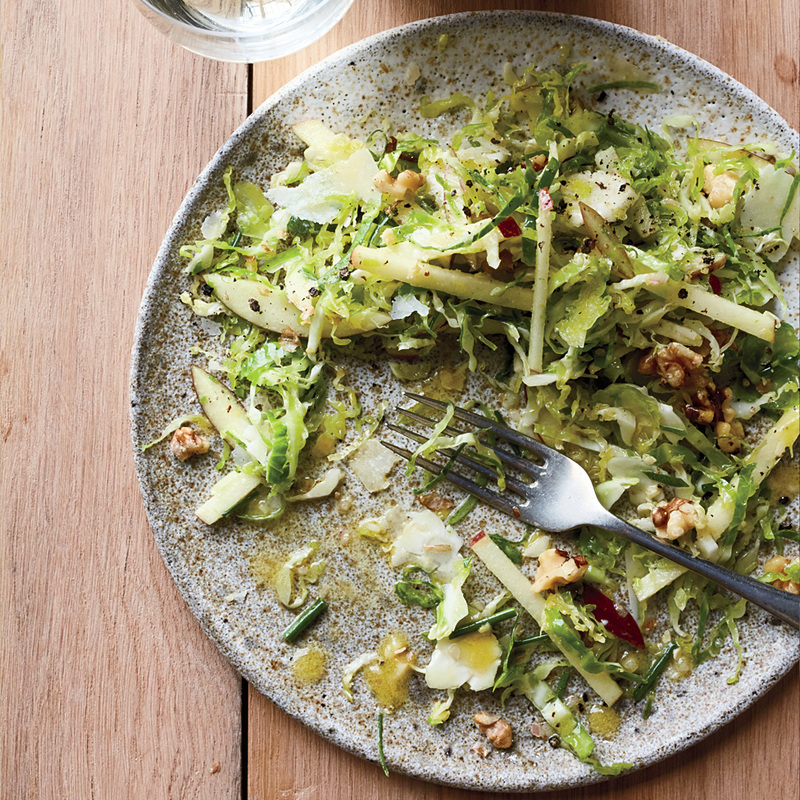 If you’re in need of a quick, delicious fall salad we’ve got just the thing. 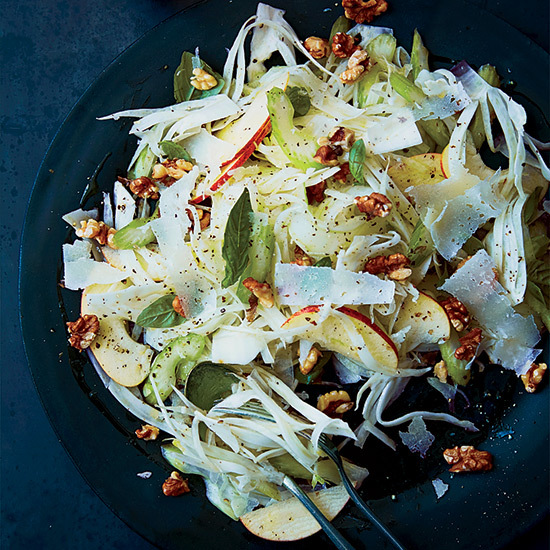 The light, tangy avocado-yogurt dressing here brightens up the slaw, while crisp julienned apple sticks add sweetness for a balance of flavors that speak to fall produce and everything the season offers. 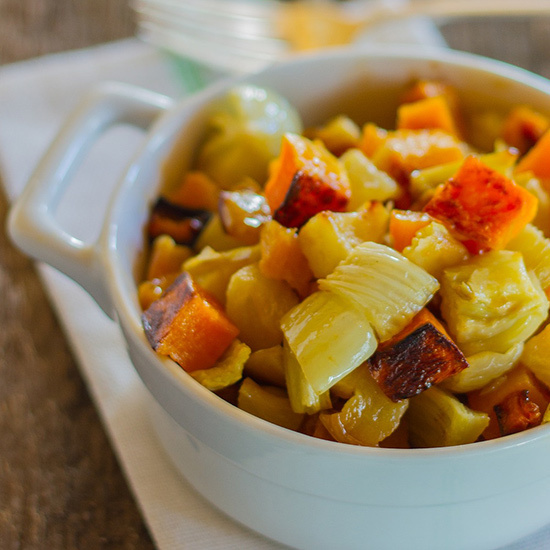 Fennel and apple round out this easy oven-roasted butternut squash dish to create a festive medley of fall flavors. We suggest Gala apples, but any mild, sweet variety will do. 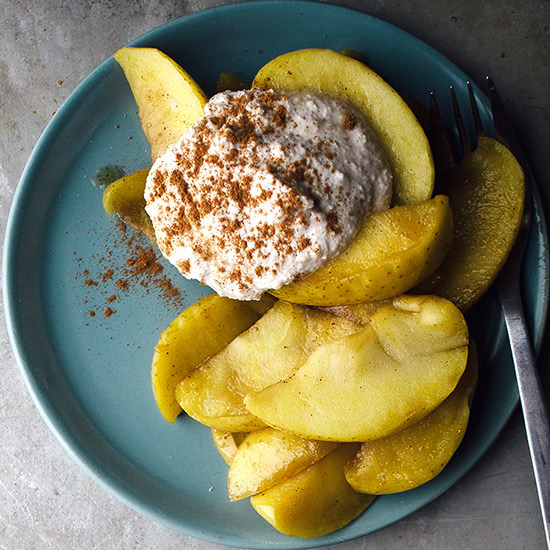 These spiced stewed apples are good for so many things. They're super quick (you can make them in 15 minutes), they work perfectly as a quick fall breakfast and they can also be served as a healthy dessert. NOTE: Make sure to soak your cashews overnight for the cream. 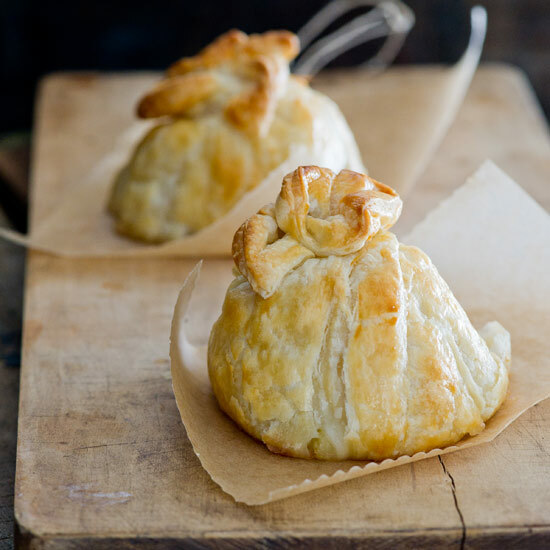 We like pretty much any kind of dumpling and that definitely includes these apple dumplings. In this dish, apples baked in flaky pastry with cinnamon sugar are irresistible. They're even better with a scoop of vanilla ice cream. And to save preparation time, we use frozen puff-pastry sheets. 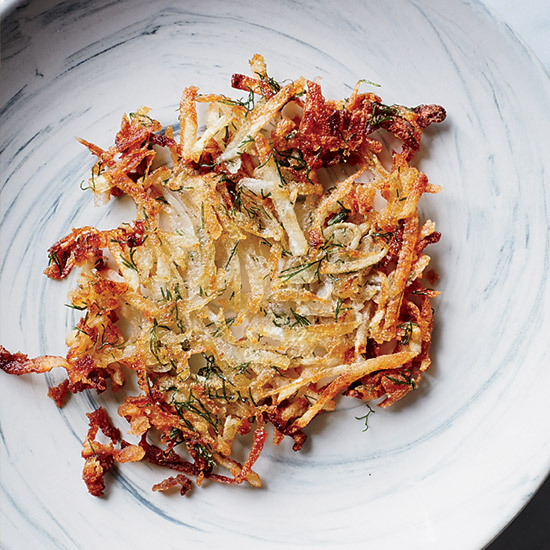 This creative take on a latke adds tart Granny Smith apple and fresh dill to traditional crisp potato pancakes, which you can serve plain or topped with smoked salmon. And they’re versatile enough to eat for breakfast, lunch, dinner, snack or even dessert. 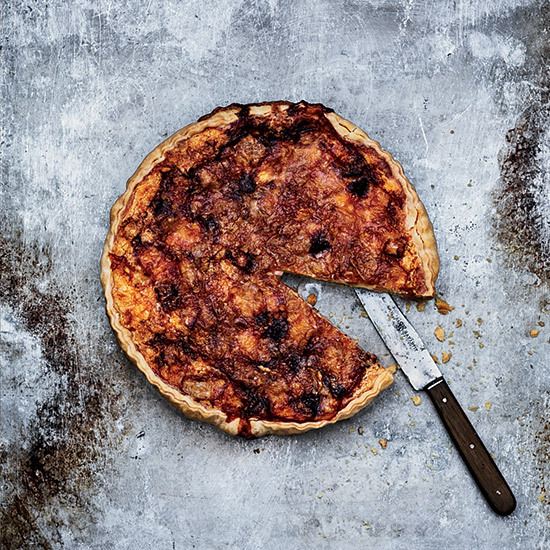 Chef Ludo Lefebvre uses the pungent, soft cow-milk cheese Époisses to flavor this delicious tart. He adds ham and apples as well, to balance the rich filling. 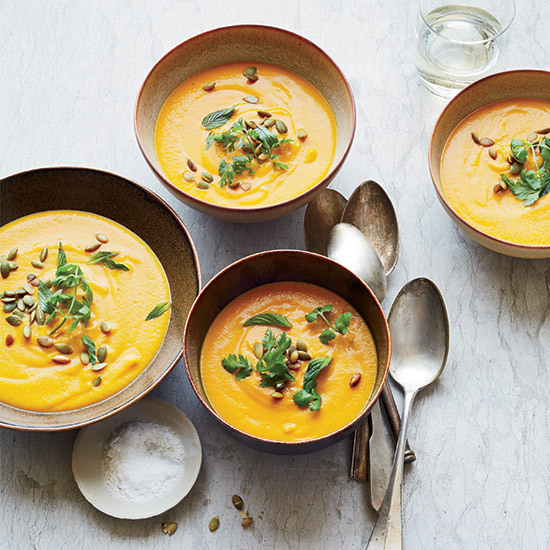 It's the perfect dish to impress guests at your fall dinner party. 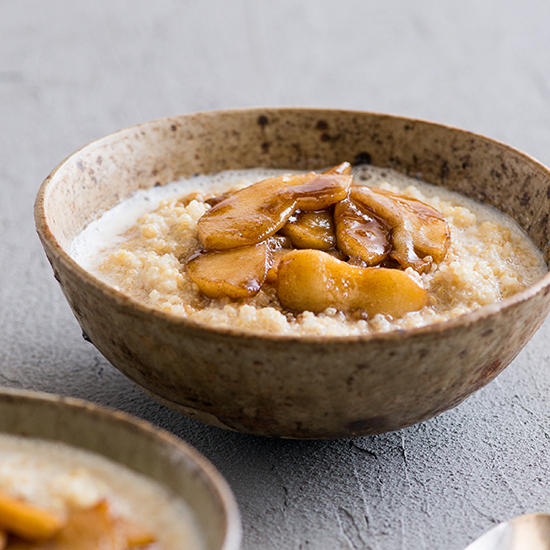 Warm, fragrant and spiced with cinnamon apples, this wonderful quinoa breakfast bowl is a great way to start the morning. It only takes 30 minutes to make, which means it's totally doable on a weekday. 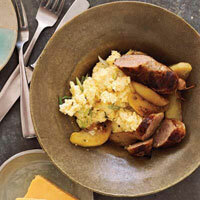 But you can also enjoy this leisurely for breakfast on the weekend. We'll probably do both. 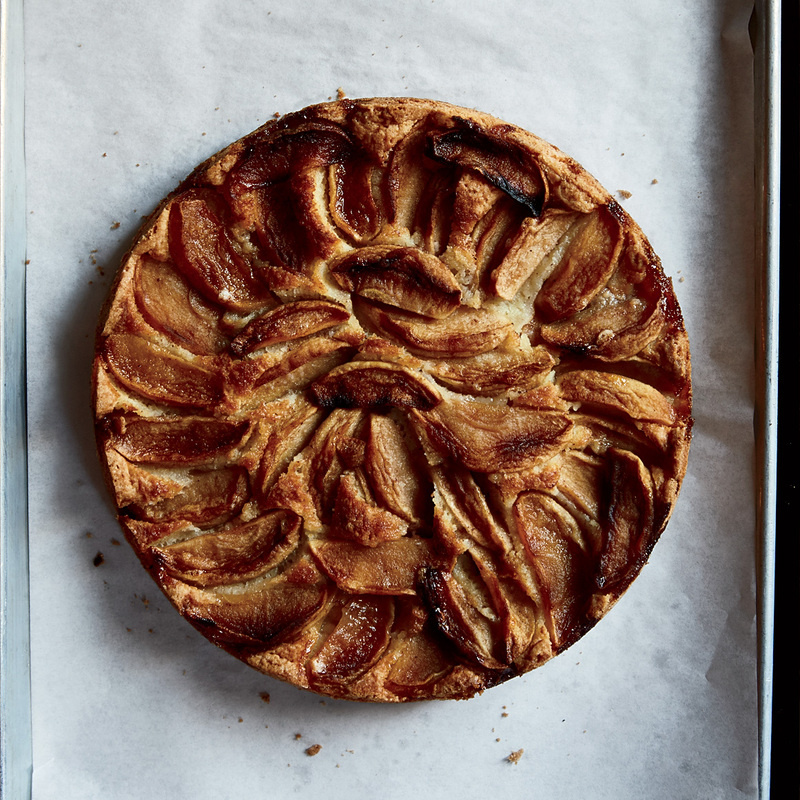 This free-form galette is so much less fussy to make than a traditional apple pie. 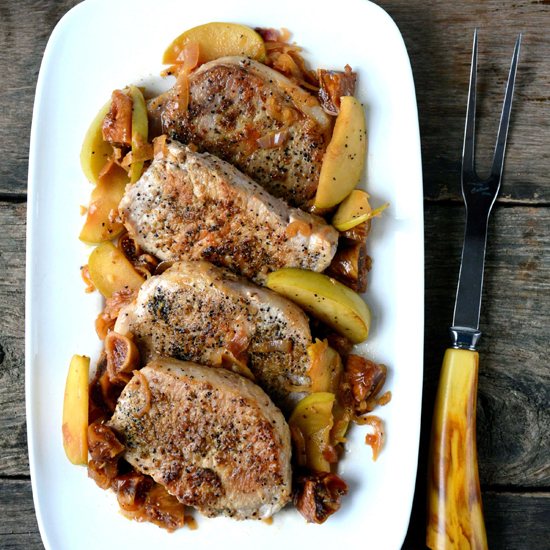 It has great fall flavor and texture from apples, pears and the crunchy streusel on top. Using unpeeled apples and pears saves time too, which is an added bonus. 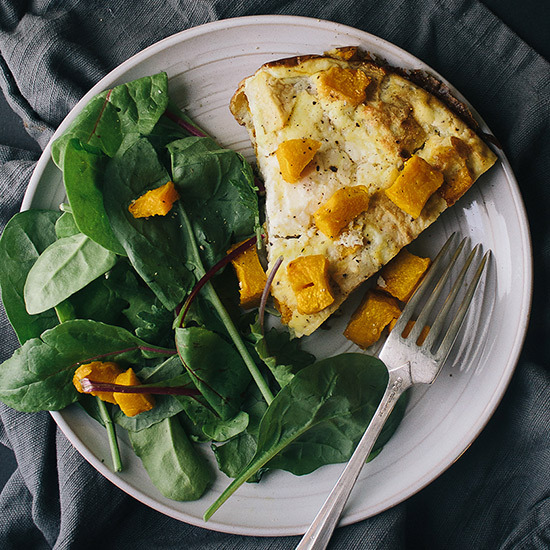 This apple and pumpkin frittata makes a terrific fall breakfast. Unlike a quiche, a frittata does not require a crust and can be whipped up quickly to serve a large crowd. If roasting the pumpkin beforehand, make sure to put the cast-iron skillet in the oven while it is preheating in the morning so the eggs start to bake as soon as they hit the pan. At Farm Bloomington, Daniel Orr sells a number of Midwestern sausages, including bratwurst from Fiedler Family Farms in Rome, Indiana. But sweet Italian sausages will work in this recipe, too. Be sure to use cooking apples that will hold their shape, like Granny Smiths, Winesaps or Rome Beauties. It may be time to ditch the oatmeal and go for a different warm grain in the morning. 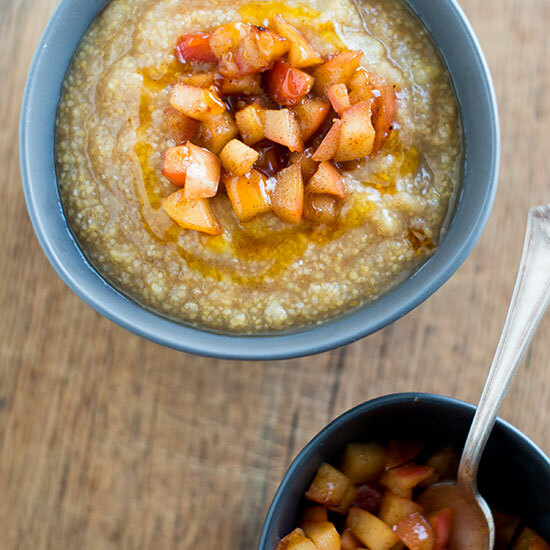 A bowl of creamy polenta topped with fall's freshest apples is a great, delicious breakfast. The added sweetness of maple syrup and cinnamon makes this polenta a morning favorite on crisp autumn weekends. This chicken thigh recipe calls for unspiced apple cider as the braising liquid. And fresh rosemary accentuates the classic sweetness of fall apples and really elevates the dish as a whole. 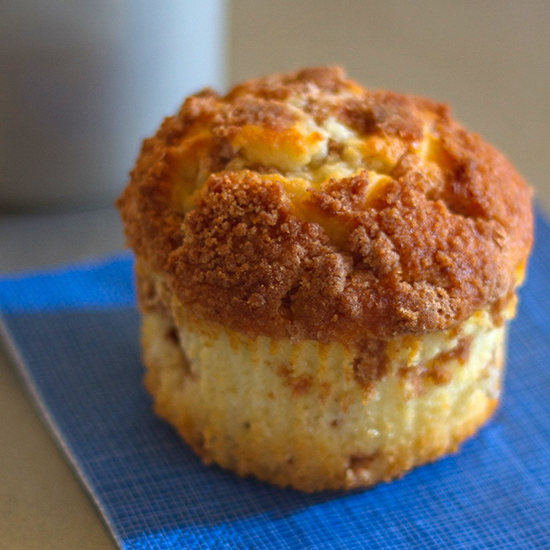 Even if you aren’t gluten-free, you’ll still enjoy these fall muffins. Applesauce is a wonderful "secret ingredient" for gluten-free baked goods. You can use store-bought sauce or make your own by pureeing chopped apples with a little bit of water and a squeeze of lime or lemon juice. 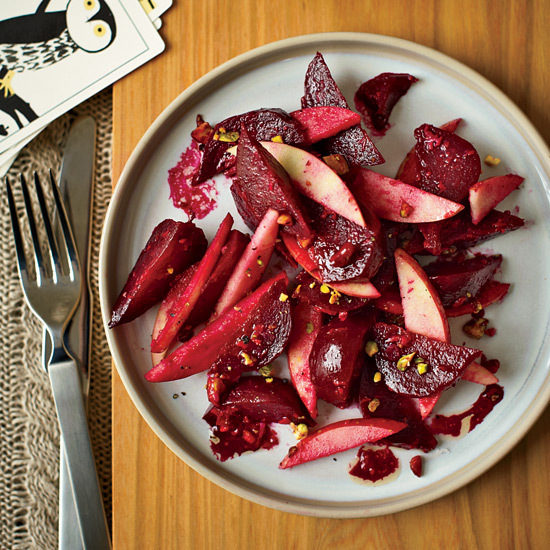 “In the winter, I love to have a bright-tasting salad,” says designer and blogger Athena Calderone about this side dish. Honeycrisps are her favorite apples, for their sweet-tart flavor and crisp, juicy texture, but you can use the variety you like best.